Since being seized in a raid in Pakistan in 2002, Abu Zubaydah has had his life controlled by American officials, first at secret sites, where he was tortured, and since 2006 in a small cell in Guantanamo Bay, Cuba. And, thanks to one of the strangest, and perhaps most troubling, legal cases to grow out of the War on Terror, it appears he’s not going to be leaving anytime soon—which was exactly the plan the CIA always wanted. Not even his lawyers understand what’s transpired behind closed doors in a Washington, D.C., courtroom. 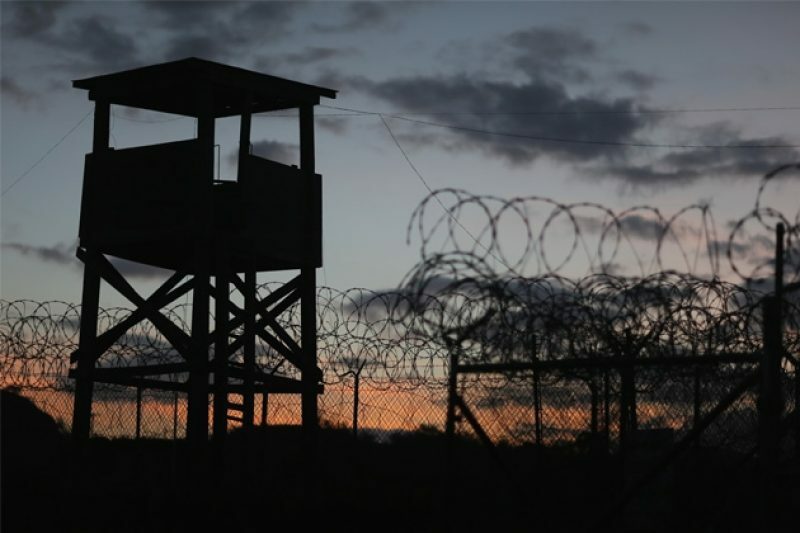 In June of 2008, the Supreme Court ruled that detainees at Guantanamo had the right to challenge their imprisonment in federal court and that their cases should be handled “promptly’’ by the judicial system. The next month, lawyers for Abu Zubaydah, a detainee whose torture and waterboarding in secret prisons was among the most notorious of the Bush years, filed a lawsuit in federal court challenging his detention. The progress of that case has been anything but prompt. While more than 100 Guantanamo detainees have been released since then, and the military tribunals of even more high-profile detainees like 9/11 mastermind Khalid Sheikh Mohammed are moving forward in Guantanamo’s courtrooms, the federal judge hearing Zubaydah’s case has failed to rule on even the preliminary motions. The seemingly intentional inaction has left even experienced court observers baffled. Richard W. Roberts, the U.S. District court judge handling the suit, is not a particularly slow-moving judge. His median time for resolving entire cases is slightly over two years; Zubaydah’s initial plea has already been pending 6 years 9 months and 12 days. Soon after the agency’s contractors began their program of “enhanced interrogation’’ at the secret black site in Thailand – placing him in a coffin-size box; slamming him against wall; depriving him of sleep; bombarding him with loud music; as well as waterboarding – they sent an encrypted cable to Washington. The decision to hold Zubaydah “incommunicado’’ was disclosed by the Senate report on torture, which was released last December. But the judicial inaction on his case has received virtually no public attention. In all, Roberts has failed to rule on 16 motions, 13 of which have been filed by Zubaydah’s lawyers. Several of those allege misconduct by the government. Roberts’ judicial inaction runs the gamut: Zubaydah’s motion for an un-redacted copy of his own diary, which the government seized, has sat for six years without any ruling by the judge. His habeas corpus petition was sealed at the request of the government. Zubaydah’s lawyers filed to have it declassified. It remains classified. A lawyer with the Center for Constitutional Rights, which has been at the forefront of lawsuits to gain the release of Guantanamo detainees, says he has been baffled by the judge’s inaction. “It appears to be highly unusual,” says the lawyer, J. Wells Dixon, who has represented several Guantanamo detainees, but is not involved in the Zubaydah case. In contrast to Zubaydah’s case, Dixon said that 64 Guantanamo detainees who filed habeas petitions have seen their cases adjudicated. Yet Judge Roberts appears content to let Zubaydah’s case languish. Compared to his handling of other cases, the jurist has been anything but “swift” in Zubaydah’s case. For cases he closed in 2014, the median time from filing was 751 days, according to data assembled for ProPublica by the Transactional Records Access Clearinghouse, a nonprofit organization at Syracuse University. The longest any closed case had been on his docket was 1,651 days, according to TRAC. Zubaydah’s case has been pending for some 2,400 days, and it will be years before it goes to trial, if it ever does. There are few answers for why Zubaydah’s case has gone so far off track — and there’s nothing in Roberts’ background or recent behavior on the bench that would make him seem incapable of ruling if he desired. He was appointed to the court by President Bill Clinton in 1998 and has a fairly typical background for a federal judge: A Columbia law school grad, he rose through the ranks of the Department of Justice, working as an assistant U.S. attorney in the Southern District of New York and as principal assistant U.S. attorney for the District of Columbia. He later spent three years as the chief of the criminal section at the Justice Department’s Civil Rights Division. Absent the apparently intentional aberration of the Zubaydah case, his court docket proceeds as normal in Courtroom 9 on the fourth floor of the U.S. District Courthouse on Pennsylvania Avenue NW. A spokeswoman for the federal district court declined to comment on the case. One possible clue about the judge’s failure to act may be found in a motion Zubaydah’s lawyers filed in 2010. They asked Roberts for access to any “ex parte filings,” which is evidence the government shows the court outside the presence of the other side’s lawyers. In other cases involving detainees, secret prisons, watch lists and challenges to domestic spying, the Justice Department has attempted to win dismissals by presenting classified evidence to judges in the secrecy of their chambers. In that case, Alsup declined to receive the officials, although he did receive other ex parte filings in the case. It’s not clear whether Judge Roberts has received a comparable offer, and if so, how he reacted. But it’s unlikely that if such a meeting or meetings happened, the public would ever know—and likely that not even Zubaydah’s own lawyers would know about it, unless Roberts came forward as Alsup did. Although the case is an infamous one, it’s worth recalling the details of Abu Zubaydah’s custody in U.S. hands. He was captured in a joint Pakistani-CIA-FBI operation in Lahore, Pakistan, in March 2002, during which he was shot in the groin, leg and stomach. Severely wounded, Zubaydah lingered near death as the CIA, which wanted him alive for interrogation, flew in a top surgeon from Johns Hopkins in Baltimore. Later, Zubaydah was handcuffed, hooded, drugged and flown to Thailand, where the CIA was in the process of creating one of its first “black sites.” Initially interviewed by the FBI, Zubaydah cooperated. FBI Special Agents Ali Soufan and Steve Gaudin even held ice to his lips so he could receive fluids. Zubaydah told the agents that Khalid Sheik Mohammad was the mastermind of the 9/11 attacks and gave them further detailed information about him, including his alias—the news ricocheted across Washington and Zubaydah became a pawn in the capital’s power tussle between the FBI and the CIA. CIA Director George Tenet wasn’t satisfied with the progress on the interrogation. The agency was convinced that Zubaydah knew more, that he was a high-level al-Qaeda operative, and that he was withholding information about pending terrorist plots. Thus, Zubaydah became the guinea pig for what the Bush Administration called “enhanced interrogation techniques.” The FBI pulled its agents out of Thailand as the CIA’s plans for the prisoner became clear—but not before the agents got one final useful tip: Zubaydah pointed them to a name “Abu Abdullah al Mujahir” that eventually led agents to José Padilla, a would-be jihadist who was arrested in Chicago on May 8, 2002. Meanwhile, the CIA started in on Zubaydah. For 47 days, he was held in complete isolation, with only a towel. Then, shortly before noon on August 4, 2002, hooded security personnel entered his cell, shackled and hooded him, and removed his towel, leaving him naked. “So it begins,” a medical officer in Thailand cabled CIA headquarters about the first day’s session. After a few days, some of the individuals involved in Zubaydah’s interrogation were deeply disturbed, to the “point of tears and choking up,” the team cabled Washington. Over the course of the interrogations, Zubaydah “cried,” he “begged,” he “pleaded,” he “whimpered,” the team in Thailand reported to headquarters in various cables. But he never gave the CIA information about plans for attacks in the United States. And in the end, the CIA “concluded that Abu Zubaydah had been truthful and that he did not possess any new terrorist threat information,” the Senate torture report says. He was not even a member of al-Qaeda. Yet even though the torture was over, Zubaydah’s ordeal was just beginning. For nearly a decade, he’s been shuttled around the world and held in legal limbo—even as hundreds of detainees have been transferred or released and court cases have moved forward for other suspected terrorists at Guantanamo. After the first media reports appeared about a CIA secret prison in Thailand, Zubaydah was moved to a secret site in Poland. A year ago, the European court of human rights ruled that Poland had been complicit with the United States in subjecting Zubaydah to “inhuman and degrading treatment,” and ordered Poland to pay him reparations. After losing an appeal, Poland paid Zubaydah 100,000 Euros, which Zubaydah has said he will give to victims of torture. Zubaydah, who was transferred from Poland to Guantanamo Bay in 2006, has not fared well with the American judicial system even as his lawyers have attempted to nudge the case forward to a conclusion. Much of the case remains wrapped in secrecy, meaning that his lawyers are unable to discuss or elaborate upon much of their work or knowledge of the case. Glimpses into it, though, are possible through the languishing court filings. Zubaydah’s lawyers have filed two motions that raise questions about the government’s conduct in the case. In 2010, they sought an “order prohibiting the government from obstructing petitioner’s investigation.” The court hasn’t ruled, and we don’t know what might have prompted this request because the documents are sealed. Similarly, three years ago, Zubaydah’s lawyers asked for sanctions against the government because of what they said was “the improper seizure” of documents “subject to the attorney-client privilege.” Again, Judge Roberts has yet to rule. Frustrated by the inaction in the case, Zubaydah’s lawyers filed a motion in January asking the judge to recuse himself for “nonfeasance.” It is an unusual motion. Judges are occasionally asked to recuse themselves because of conflicts of interest or bias, but not for simply failing to act. The government has filed its response, which is sealed, and the judge—perhaps not surprisingly, given the track record thus far—has not yet ruled.